Jeremy and Jessica Nolen, the husband-and-wife duo whose collective culinary skills have brought us the menus at Brauhaus Schmitz, Whetstone Tavern and Little Bird Bakery & Cafe, can put another metaphorical trophy on their shelf. Their cookbook, "New German Cooking," was just named to Washington Post's "10 best cookbooks of 2015" list. 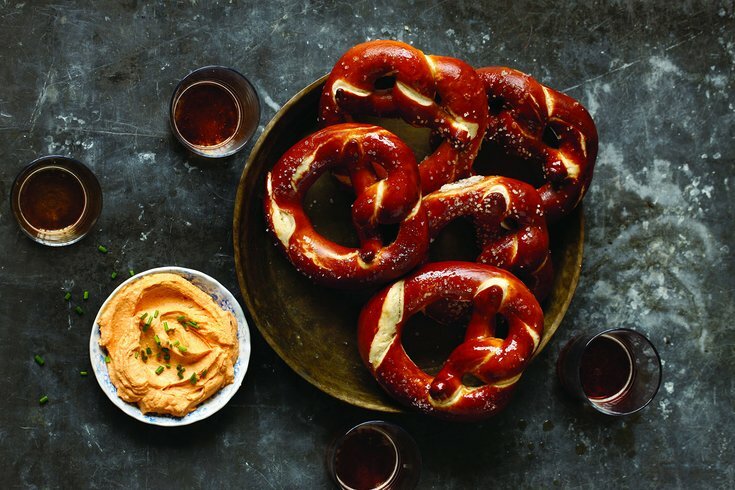 Released in February, the cookbook features recipes for German food in both the traditional molds and with a modern twist. PhillyVoice contributor Wendy Ramunno explored the book at length earlier this year, even snagging a recipe from the tome's many pages. The Philadelphia husband and wife chef-restaurateurs deliver a fine first cookbook that introduces the cuisine to a new generation. Jeremy Nolen learned at the elbow of immigrant home cooks, so he’s got the chops. Other books on the top 10 list include "The Everyday Baker: Recipes & Techniques for Foolproof Baking," by Abigail Johnson Dodge and "Vegetarian India: A Journey Through the Best of Indian Home Cooking," by Madhur Jaffrey. Want to really dig in? WaPo also included 20 more titles that deserved a mention. Bon appetit!